Anyone familiar with the writing of historian Thomas Noel will expect the warmth, humor, and general readability that is found in this wonderful book. What I didn’t know was that “Dr. 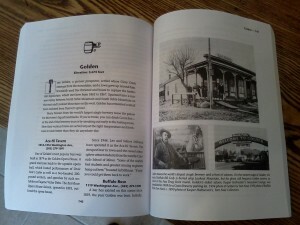 Colorado” wrote his dissertation on the topic of Denver saloons from 1858-1916. 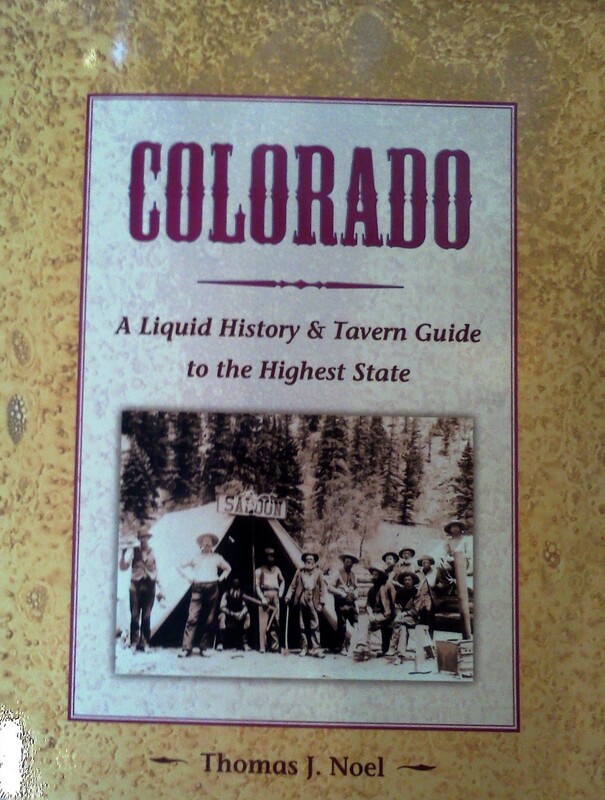 This demonstrates an unexpected focus and dedication to the topic of Colorado: A Liquid History & Tavern Guide to the Highest State. When I first picked up this volume for review, I was put off by the 1999 publishing date, assuming that the information inside would be dated. But from the start, Noel focused his attention on both long-gone bars with interesting stories mixed with descriptions of taverns still in operation. 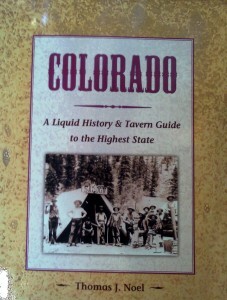 Many continue to operate, and the stories are funny and fascinating and steeped in Colorado history. Golden taverns are well represented, but Noel’s research covers most towns in the state that are big enough to support a bar, and some that used to be big enough, but are no longer. Each bar is shaped by the communities they represent and Noel writes about those communities and their histories with great empathy.